Here it is. The annual best last gasp of summer. The festivals and events are wrapping up. The leaves are already turning. And the football is about to begin. And as we all know, September is the best time of the year. Period. To take advantage of the leafy beauty that will soon be bestowed upon us, we here at V1 are planning a staff kayak jaunt down the Eau Claire River this fall. 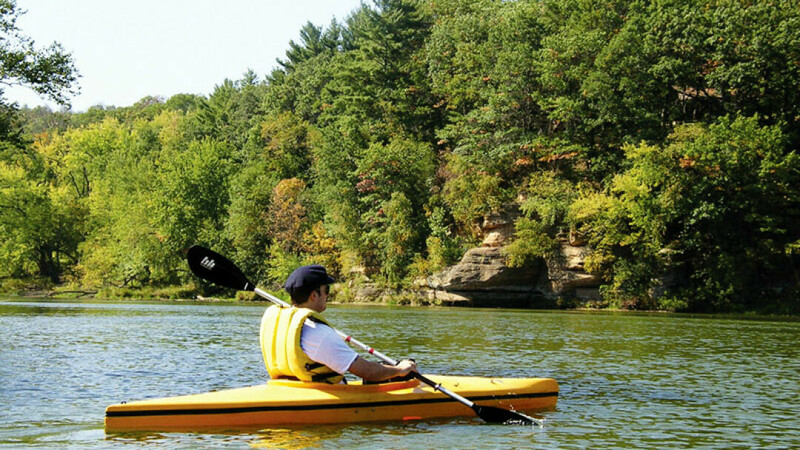 If you never have, rent yourself a kayak or canoe and try it out. It’s seriously fantastic and you’ll hardly believe you’re floating right through the heart of Eau Claire. There have been a handful of times I’ve been hit hard with just how lucky we are to live here, and the first time I paddled from just below the Altoona Dam to Phoenix Park along that river was one of them. Oh, also! We’re having a big blowout tent sale at The Local Store on Friday and Saturday, Sept. 6-7. We’re talking buy-one-get-one-free type blowout. Lots of classic tees and other cool gifts on sale both out in the tent and inside the store. Friday night is the best part: There will be live shirt printing by Ambient Inks and an art reception with Ray Kaselau in the gallery. Yeah, pretty great. Come get some deals and hang out!